Home Blog Mis-selling in bancassurance. Should banks bite the bullet? One must be wondering at the origin of such a strange word and what it means. The word bancassurance has its origin in France. The word banc is French for bank. The word assurance basically means the provision of insurance products and services. This basically means banks tie up with insurance Companies to form a distribution channel for insurance products. The reason is obvious .Banks with their vast network are able to reach a wide customer base. Their reach helps insurance Companies to increase market penetration and reach customers even in rural areas which they would otherwise not be easily able to do .The banks are able to procure huge commissions from these Insurance Companies. I scratch your back you scratch mine has not found a better definition. But in their quest to help insurance Companies and earn commissions to what depth do banks steep? Do they resort to mis-selling of insurance products to further their needs? So how do banks indulge in bancassurance? Since the marketing of insurance products is of prime importance not only to banks but also insurance Companies it makes sense that insurance Companies also play a role in assisting banks in the marketing of insurance products especially the complex ones .Highly trained executives of the insurance Company serve in the capacity of special advisers. Corporate clients and HNI’s are referred by the banks to these special advisers based on the need of these clients for high end insurance products. The job of the special advisers is to lock the deal and gain incentives in addition to their salary. Banks are well compensated for these referrals. This mainly signifies the use of the existing network of the bank for the sale and distribution of insurance products done by branch bankers themselves .No new infrastructure needs to be created. The focus is mainly on training of the bank staff in order to provide a sound understanding of insurance products. This model is highly rated because of its holistic approach to ones need. One is viewed not merely as a number or a figure but as a human being. This approach attempts to understand ones financial needs based on his risk tolerance basically the willingness to take risks. If one is risk averse mainly hesitates to take a risk he would be offered insurance products based on his need. If one wants higher gains from the insurance products and expresses willingness and a desire to take risks then he is offered products suitable to the need. Thought is also given to ones age when insurance products are offered. A term insurance is offered if one is in at the start of his career. Annuity policies are offered for those nearing retirement. An attempt is made for one to establish a relationship with the insurance Company. The first question that comes to mind when one hears this topic is what is cross-selling and why is it done. Cross-selling is basically need based selling. A talented banker or an insurance agent recognizes a need or an event in one’s life and capitalizes on this need .This allows the bank to provide one a wider set of products and services. A talented banker or an insurance agent would never sell one a single product based on ones current need. The art lies in the banker or the insurance agent identifying another need which one might not recognize himself. The next step would be to sell one an additional insurance product or a banking product based on this need. The following example helps to understand how cross-selling is done. Mr Ramesh a young professional 32 years of age working in a manufacturing unit has a savings account and a fixed deposit in a reputed bank. He withdraws his fixed deposits and a smart banker on talking to him realizes he intends to purchase a car. The banker sees an opportunity for cross-selling. He offers Mr Ramesh a car protection policy commonly called auto insurance as well as a personal accident policy in line with the policy of bancassurance. 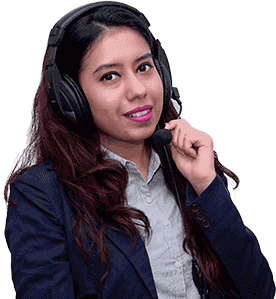 Mr Ramesh realizes his need for these insurance products and since he enjoys a good rapport with the bank and thinks highly of its services he accepts the advice. The smart banker has succeeded at bancassurance. So what makes cross-selling a success? An insurance agent or a banker needs to have a sound understanding of one’s needs. He also needs to have a thorough understanding of the insurance products. Only then can he successfully match ones needs with the insurance product sold. He needs to study ones behavior and traits and thereby understand one’s thought pattern and spending habits. Another factor is identifying stages in one’s life and selling them a product based on that need. If one is the sole breadwinner of the family and at the start of his career a term life insurance product can be cross sold to him. If one is nearing retirement an annuity insurance product is a thought .A traumatic event in one’s life such as a divorce can accentuate the need for sound estate planning .Got an idea how to cross-sell? Cooperation between team members of the organization is a must in order to turn bancassurance into a success. Trust among team members is an essential criteria along with a system of accountability. Each team member needs to recognize the need for cross-selling and how he could contribute to make it a success. Suitable training needs to be provided in order to make bancassurance a success. Co-ordination between various departments is a must as customer data gathering is a team job which involves the technological team .No cross-selling or bancassurance can be successful without a sound support structure. The departmental setup in the organization needs to be in sync with the needs of the bancassurance team and avoidance of a closed door structure is a must to focus on customer needs. How do banks resort to mis-selling in bancassurance? Loans particularly home loans are an easy method for banks to indulge in mis-selling. Ones desperation to get the loan sanctioned plays into the hands of the banks. 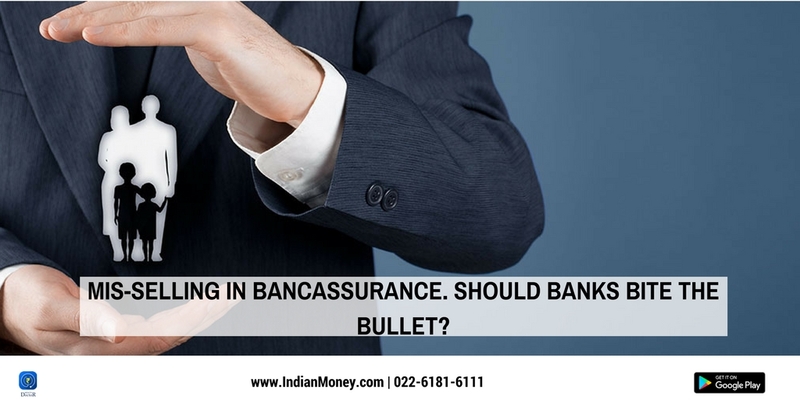 Banks force customers to take up a Ulip policy or a home insurance policy especially during the last stages of the loan sanctioning process akin to pointing a gun at ones head. Purchase the insurance product or else is the motto. Many a time one might not have an option but be forced to take up the insurance product just to avail the loan. So how can one avoid becoming a victim to forced mis-selling by banks? Banks prey on ones desperation and how far one would go in order to get the loan sanctioned. Bundling of loans with insurance products even though not allowed as per IRDA rules still goes on unofficially as a method to force one to take up the insurance product. One must reject the offer and state that he is not desperate for the loan and can wait for a few months and he is already in touch with other banks if the loan sanctioning fails at this particular bank. One must resort to calling the bluff or basically seeing what the banks next move would be. The bank would most probably scale down and one is pacified and assured that there is no need to purchase the insurance product for the sanctioning of the loan as competition between banks to tap customers for the loan segment is very high.. Better the bird in hand than two in the bush is an approach followed where the bank can at least get the profits of the loan from one rather than risk losing one to another bank with the greed of forcing one to purchase an insurance product with the loan. Another method is to inform the bank official that one is aware of his rights and knows he is being forced to purchase the insurance product just to avail the loan. Make the bank official know that you can get in touch with the banking ombudsman and make him aware of the situation. This might cause the bank official to backtrack and sanction the loan. The last option would be to take up the insurance policy just so that one can get the loan sanctioned by paying the first years premium. After obtaining the policy documents return the insurance policy within the free look period of 15 days from the day the policy documents are received. The free look period starts from the day one receives the policy documents rather than the day the insurance policy is purchased. Why do banks fail in bancassurance? Banks indulge in selling of mainly ulips and endowment insurance products rather than focusing on need based products such as term insurance. Their knowledge of insurance products is very low. Focus on commissions rather than ones needs is the governing factor. There is a shortfall of trained staff in bancassurance with a number of senior staff lined up for the voluntary retirement scheme. For successful bancassurance a sound knowledge of insurance and its products is a must in order to cross –sell to meet ones needs. The shortfall in trained staff causes banks to lose out on bancassurance benefits. The culture of banking also plays a role in the failure and mis-selling of insurance and thereby the failure of bancassurance. Bankers are trained to meet ones social needs and customer service and knowledge of sound banking principles are their forte or strength. Marketing of insurance products may not be their cup of tea. Banks mostly operate and focus on urban areas. The idea of bancassurance is to develop reach particularly in the rural areas. This purpose is not solved ,as if one is an urban customer banks force more and more insurance products down his throat and he is faced with a glut of products. Little thought is given to the needs of rural customers. I would like to end this article with the famous saying “You have to learn the rules of the game, And then you have to play better than anyone else. This saying is apt for bancassurance where bankers can seize opportunities where their rival counterparts fail to seize the moment. Else other businesses will seize the initiative through better understanding of insurance and its products and serve the needs of the customer in a better manner.